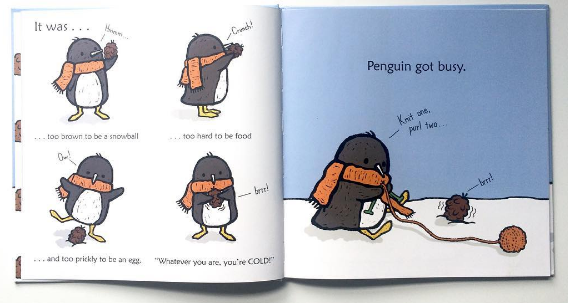 Yoon creates her illustrations digitally, so we get these giant blocks of color. 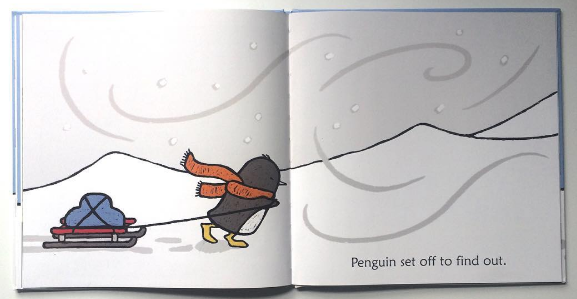 The way she adds in texture--Penguin's fur, leaves on the trees--helps make each part of the illustration stand out on its own. 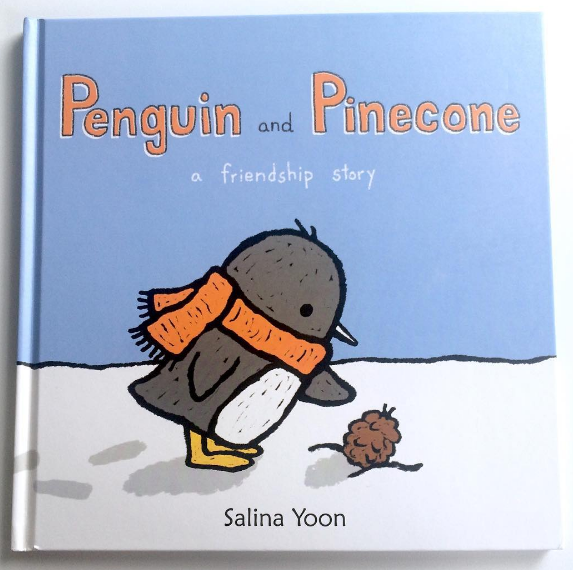 We see in the illustrations just how hard Penguin works to get Pinecone home: he literally drags Pinecone from one page to the next and Yoon gives us a good perspective on how small Penguin is compared to his task.